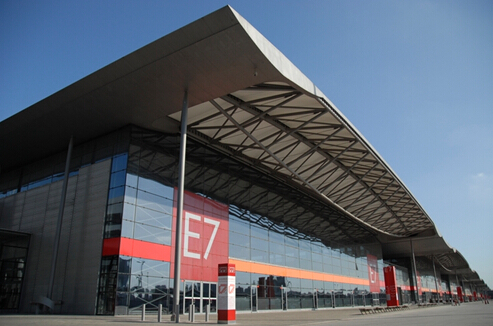 The Shanghai New International Expo Center (SNIEC) is jointly owned by Shanghai Lujiazui Exhibition Development Co and German Exposition Co, a joint subsidiary of Deutsche Messe AG, Messe Duesseldorf GmbH and Messe Muenchen GmbH. SNIEC offers 17 column-free, ground-level exhibition halls, covering 200,000 sq m of indoor space and 100,000 sq m of outdoor space. Since officially opened to the public on Nov 2, 2001, SNIEC has attracted more than 4 million visitors and around 100 world-class exhibitions every year. As a multi-functional venue, SNIEC also caters to a diverse range of both social and corporate events.